By a long shot, I think, the most famous battle of the forgotten War of 1812-15 is the Battle of New Orleans, which took place after the signing of the Treaty of Ghent on Christmas Eve 1814, but indeed not before the war officially ended with the ratification of the treaty. It birthed a lot of legends, particularly that of the local pirate band led by Jean Laffite offering their services as cannoneers to General Andrew Jackson, and thus playing a vital role in the victory. 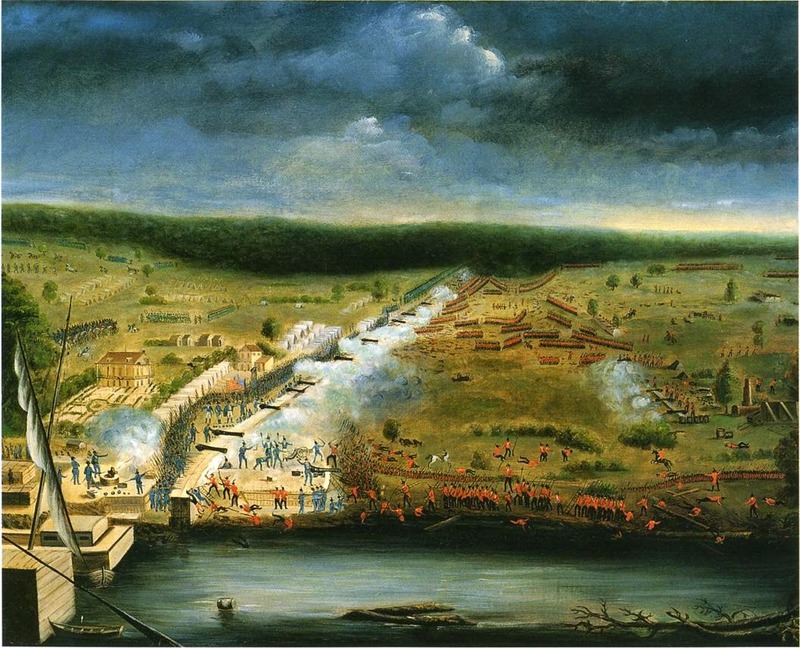 Likewise, the Tennessee and Kentucky riflemen have edged out their less glamorous counterparts in the Regular Infantry to the point where, in the popular imagination, the Battle of New Orleans pitted lockstepping British redcoats against keen-eyed American sharpshooters, who downed them like fish in a barrel. The reality, as always, is different but far more interesting. For this article, though, I will confine myself mostly to the subject of the American artillery at the battle. The big guns, indeed, played the decisive role by decimating the dense British columns before they could get within small-arms range of the entrenched American line. Today there is a monument on the battlefield to Lieutenant Samuel Spotts, whose gun on Battery No. 6 was the first to open fire on the British columns. 2 Lt. Norris Navy (USS Carolina) 24-pounder naval gun. 5 Lt. Perry and Lt. William Kerr, Corps of Artillery Corps of Artillery 2 6-pounders on field carriages. (fired the first shot of the battle). **The redoubt in front of Battery No. 1 was overrun by a column of British troops, who bayoneted most of the small detachment of 7th and 44th Infantry who were posted there. Captain Thomas Beale's Company of Riflemen was posted immediately behind the redoubt, behind the main line. Within a few minutes they had cut down the exposed British soldiers with accurate and point blank fire. *Major St. Geme's Company of Dragons a Pied (Foot Dragoons, in other words, who were probably armed and trained as light infantrymen) was part of Major Jean Plauche's Battalion of Volunteers from New Orleans.